The majority of the population seek to become wealthy, but less than 1% become financially free. Financial freedom means having enough personal wealth to live without working to cover basic financial needs. If your assets generate income which is greater than your expenses, then you are financially free. There is a big gap between where people want to be and where they are at financially. This can be the cause of great frustration, stress and lead to conflicts in personal or professional relationships. Why does this occur? When we grow up, we have an expectation that one day we will make it and life will take care of us. This is our natural drive and somewhat reasonable expectation. However, we are bombarded by media and hype around fancy clothes, cars, houses, what other people have and start to inject those values into our lives as if they are the norm. Thinking that this will lead to fulfilment, the problem then arises when we have these financial expectations, but do not have the value systems to organise and orchestrate our lives to produce, maintain and grow our financial wealth. We are attracted to the idea of a high rolling lifestyle and focus on spending and consumerism but if we don’t have a long term strategy for wealth planning and building it can lead us into depression about our finances. The main reason why people spend money on objects they don’t need or collect junk is because of a shame or guilt that they are harbouring in their lives. Unconsciously they spend money as a way to make themselves feel good about themselves by injecting the values of large brands instead of becoming their own authorities in their lives and becoming the brand of their own life. It would be wise to figure out from a financial perspective what your values are and understand your own blueprint. Then, make a business and create money according to what your highest values are. Your highest values may be in the area of your family, your practice, your knowledge, your health and beauty, your social contacts etc. Knowing how to convert this into the financial form of wealth and getting magnificently paid for it is an art form. You are not missing wealth in your life; it is simply stored in the form of your highest values. Unlocking this potential is the key to fulfilment. I consulted with a dentist recently whose practice grossed over £2.9 million, but at the end of the year, had to borrow money to pay his business expenses. He had spent the majority of the money on fancy cars, parties, fancy clothes and first class holidays around the world. Nothing wrong or right about that, but when it came to the end of the year and paying his obligations, he had nothing to show for it. He was so emotionally volatile that he was having a very hard time in creating financial stability in his mind, his practice and his personal life. On the other hand, his associate who went to work, got his pay check and methodically saved every month, is on his way to becoming financially free in a few years time and retiring from dentistry to become a full time property investor. So it’s not how much your practice makes, it’s what you do with it that matters and what you do with your money depends on your hierarchy of values. You may have heard of lottery winners who win millions only to spend them in a few months and return back to the same financial level as they were before. That’s because they don’t have a high value on money, saving and investing and instead have a higher value on spending and lifestyle. Have a high value on wealth building and saving money rather than spending money. The former will lead you to inspiration and the latter to desperation. 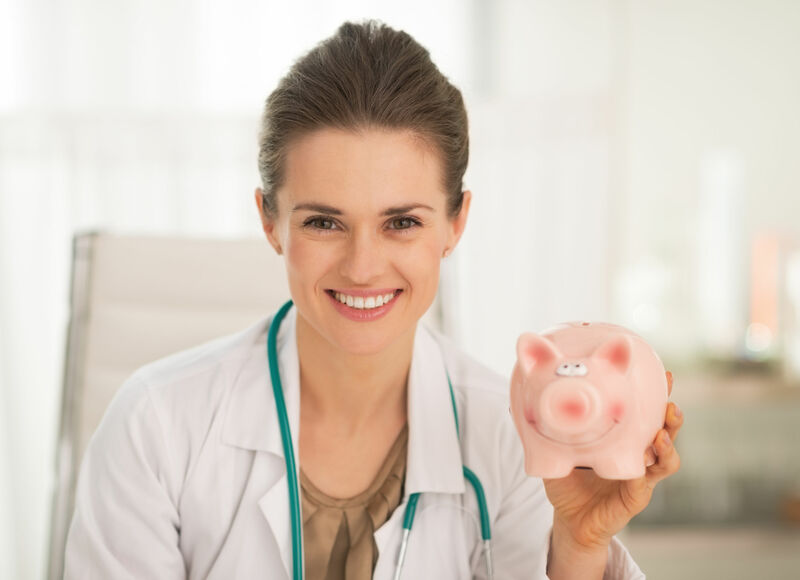 If you save an ever increasing proportion of your practice profits, then your practice will become stable, your life and health will become stable and you have a greater chance of becoming financially free. You will enjoy the dentistry more knowing that the financial aspects have been taken care of and the delivery of your patient care will become more high quality. When you are free from the emotions of delivering care to patients, then you are creating a service of care which is more authentic and patients will see that and pay you far more magnificently.